That’s what happens when drug lords kill all the other politicians. 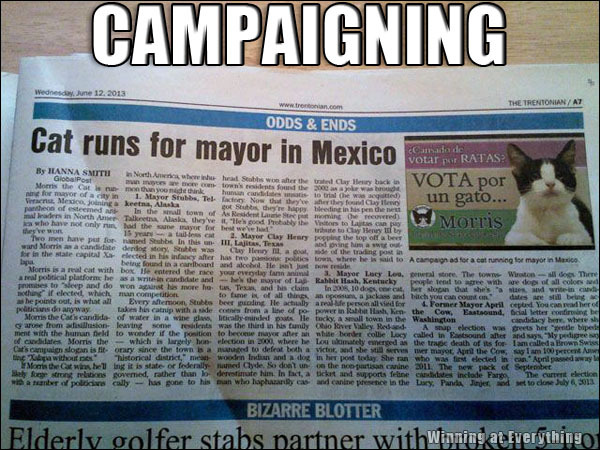 El Gato had to drop out of the race when his drug use scandal broke. Who else wants to see the story behind the other headline? Change we cats believe in!